Crocker Partners filed a new lawsuit against the city of Boca Raton over its Midtown Boca project. The suit adds to the city’s legal woes tied to the planned multimillion-dollar development. In this latest lawsuit, Crocker Partners is alleging that the city violated the state’s Sunshine Law and used delay tactics to indefinitely postpone passing regulations that would have allowed for residential development. Last year, Crocker Partners filed a suit seeking $137 million in damages against the city. But its issues with the city date all the way back to 2010, when the Boca Raton City Council amended Boca Raton’s land-use plan for the 300-acre Midtown area and directed city staff to write new zoning rules for development. 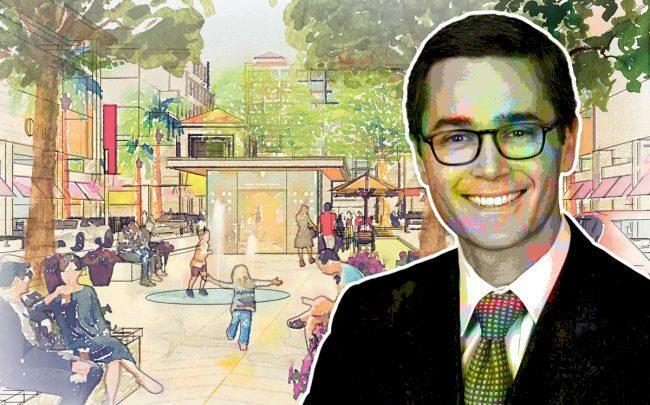 The rezoning would have allowed Crocker Partners and other developers to build a mixed-use project with up to 2,500 residential units on the site. “Residential is the missing component,” Crocker Partners’ managing partner Angelo Bianco said. Midtown Boca already consists of retail, office and hotel development. Instead of implementing the zoning rules, the city council voted in early 2018 to develop a “small area plan,” which allegedly prevented Crocker Partners from developing the project. The latest lawsuit, filed in Palm Beach County Circuit Court last week, accuses the city of turning the small area plan charette into a “charade.” A contract with an outside consultant, James Anaston-Karas of Community Marine and Water Resource Planning, outlined that there would be two public workshops. After the first workshop, the consultant and the city’s planning director, Brandon Schaad, drafted a memo that was “changed substantially in order to sabotage the small area plan exercise to the detriment” of Crocker Partners, the lawsuit alleges. Deputy City Manager George Brown then edited the memo “to make it appear that the public was opposed to the inclusion of residential density at any level,” according to the suit. During an Aug. 20 meeting, the consultant discussed the need for a housing mix in a community like Midtown Boca. But the lawsuit alleges that the city council “chose to remain publicly silent” during the consultant’s recommendation of residential development, and that council members had their own “secret agenda” facilitated by violating the Sunshine Law. The Sunshine Law ensures that all meetings during which official acts are to be taken will be declared public with reasonable notice to the public being made. It prohibits “de facto” meetings of council members. Instead of hosting a second workshop, the city council voted on Nov. 14 to adopt a resolution implementing guidelines excluding residential development. The resolution, Crocker Partners alleges, included statements that were “a complete fabrication and misstatement of what actually occurred” at a previous meeting. On Nov. 15, Schaad wrote in an email to the consultant that while the city considered that “additional materials and details relating to the small area plan may be valuable, on further consideration, we’ve concluded that proceeding with the City staff’s suggested regulatory ordinances is the most efficient way to continue to move forward” with the city’s planning in the Midtown area, according to the suit. The developer is asking the court to invalidate the land development regulations the city adopted in November, in addition to reimbursing its attorneys’ fees. A spokesperson for the city said it had not been served with the lawsuit. “If and when we are served, we will review it and prepare an appropriate and timely response,” the spokesperson said.